In a deal for UK and Commonwealth rights, excluding ANZ and North America, Jenny Glencross, Commissioning Editor at Indigo has acquired the third and fourth novels in the REPHAIM sequence by Australian author, Paula Weston from Jane Finegan at Lutyens & Rubinstein, on behalf of Text Publishing. 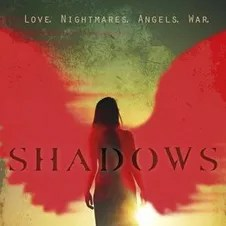 The first novel, SHADOWS, was published in January 2013, and the second, HAZE, follows in October 2013. The third and fourth novels, newly acquired, will be set for publication in 2014 and 2015. Paula Weston is a Brisbane-based author and co-owner of a two-woman writing/design consultancy. She is an avid reader and blogger and a huge fan of Australian literature and fantasy/paranormal stories. In this guest post on Gillian Polack’s blog, Sophie Masson talks about her busy year, and in particular the publication of BLACK WINGS by the ’boutique enterprise’ ACHUKAbooks. It is a big, epic story of the French Revolution, and though several publishers said they liked it very much, they all said it was ‘too uncommercial’–they were afraid at least to take a risk. But Michael Thorn, publisher at Achuka Books, saw the potential in it—loved it—and published it. It’s just so wonderful to see it out there, getting readers and great reviews—not only has it finally got to readers all over the world and not just here, but just the fact of its being out there increases its chances of its finding print publication in the long run. This is where digital really comes into its own, and Achuka Books, which publishes books by both well-known and less well-known authors, is exactly the kind of boutique enterprise which we’re seeing a lot more of, and which are greatly enriching the modern publishing landscape. via gillpolack: Guest post – Sophie Masson.